However there are some stone-throwers who are not attacked by the Israeli military. They are Jewish settlers who attack American diplomats! 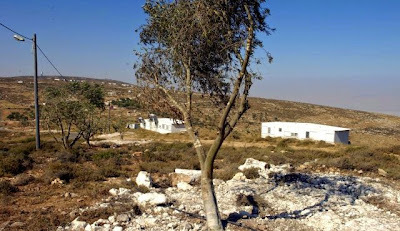 Jewish settlers attacked American consular officials Friday during a visit the officials made to the West Bank to investigate claims of damage to Palestinian agricultural property, Israeli police say. Police spokesman Micky Rosenfeld said the settlers threw rocks at the officials who had come to the area near the Jewish settlement of Adi Ad in two consular vehicles to look into Palestinian claims that settlers uprooted scores of Palestinian olive trees the day before. He said that after the rock barrage began, accompanying American security personnel ordered the consular officials back into their vehicles — which were also pelted with rocks. The vehicles then left the area, Rosenfeld said, adding that police had opened an inquiry following the filing of an official complaint. The officials were touring the outpost northeast of Ramallah accompanied by Palestinians from the nearby village of Turmus Ayya, according to The Times Of Israel. Another police official, spokeswoman Luba Samri, said that the American security personnel did not use their weapons during the attack on the American officials. The American Consulate General in Jerusalem had no immediate comment.